During the tour of the National Youth Service Corps (NYSC) orientation camp on Thursday in Abuja, Nigeria the Director General of the National Youth Service Corps (NYSC ) Brig. 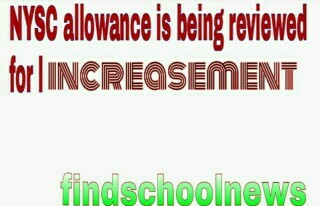 Gen. Suleiman Kazaure made it known to the public that the Federal Government has began commencement in the reviewing of the monthly allowance paid to the NYSC members. The Director General Brig. Gen. Suleiman Kazaure said the information was gotten through the Ministry of Youth and Sport Development in a letter received from the Presidency indicating that the process to review the allowance of the National Youth Service Corps members had started. The Director General also said that the Ministry of Finance was also copied in the letter by the Presidency, these were his statements to the National Youth Service Corps members during the tour. ''The federal government is working to increase your monthly allowance therefore, wherever you find yourselves be well conducted, be good a ambassador of your family, your scheme and also your nation, We received a letter from the presidency that is the ministry of youth and sport they copied the ministry of finance that shows that the corps allowance will be reviewed upward". 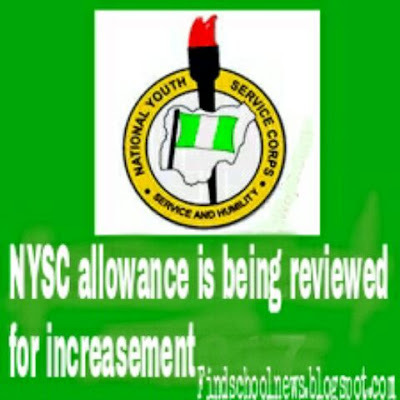 so NYSC members with this post i think you should be hopeful for your allowance to be increased.